I love making quick breads because you don’t need to spend a lot of time on it (which would obviously be why they’re called that). Although they do typically require a long time in the oven, so maybe they’re not that quick from start to finish. Compared to a yeast bread that takes at least twice as long they’re downright speedy. 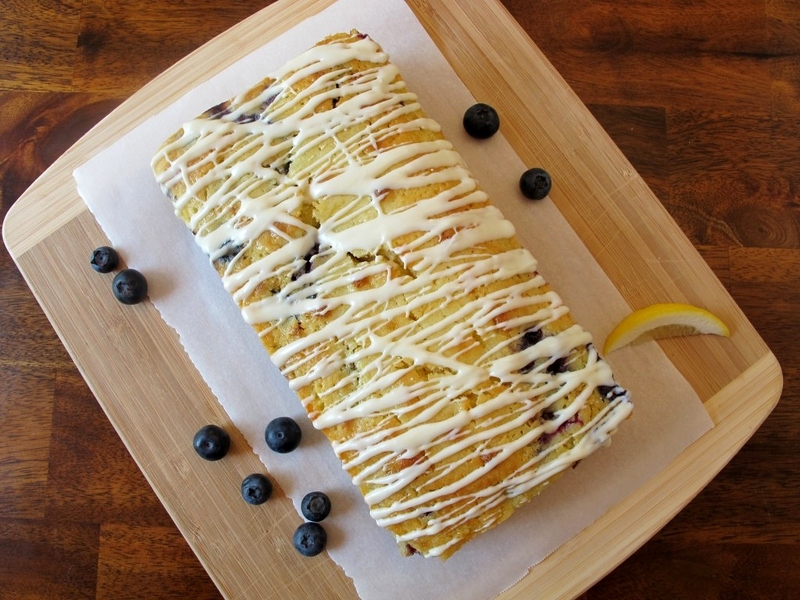 I love my Lemon Blueberry Loaf, reminiscent of Spring time flavors. I also adore my Strawberry Chocolate Chip Loaf, ideal as a Summer time loaf. Can you see where I’m going with this? It only makes sense that I make a loaf with the essence of Fall time. Of course I instantly think of pumpkin and apple flavors, but so does everyone else. Since there are a lot of pumpkin and apple recipes out there now I thought I’d go a different route. Bent on coming up with a non-pumpkin Autumn recipe, I went with cranberries instead. In a large bowl, whisk together the flour, sugar, baking powder, baking soda and salt. Set the dry ingredients aside. In a medium bowl, mix together the orange juice, egg, orange zest, and melted butter. In a small bowl, gently stir 1 tablespoon of flour and the chopped cranberries together. Gently add in the chopped cranberries and stir until just combined. Pour the batter into the prepared pan and bake it for 50 to 60 minutes or until a cake tester inserted comes out clean. (Optional) Sprinkle powdered sugar on top just before serving. Store in an air tight container on in a freezer friendly bag in the freezer. Baking tip: Don’t over mix the batter otherwise you might end up with a tough loaf. I know I say this all the time, but it’s super important. 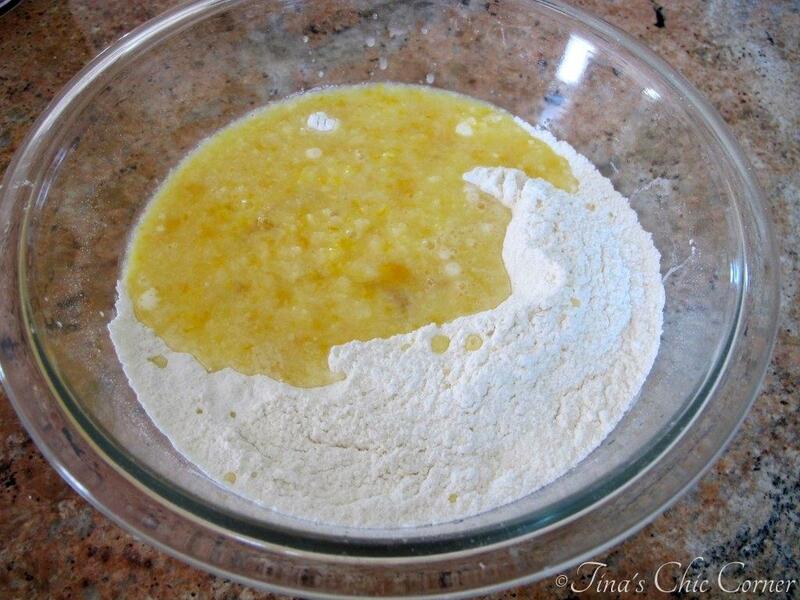 Mix the batter just until the dry ingredients are moist. This is one of the few times where lumps are a good thing. I like to use a spatula to mix the ingredients with a gentle folding motion. Can we pause for a moment to point out the orange juice and zest? It smells a-m-a-z-i-n-g already! I used frozen cranberries because fresh ones weren’t available yet when I made this. (Which sort of means cranberries are in season all year in the freezer section.) Defrost them by bringing them to room temperature. Chop them into small pieces, like the size of dried cranberries. Cranberries are juicy and the juice may make the loaf soggy, so take a paper towel and gently press down on the them to remove most of the juice. Don’t worry, you’ll still have plenty of cranberry flavor left. You can use fresh cranberries and simply follow the same process sans the need to thaw them. I haven’t tried dried cranberries with this recipe so I don’t know if they would work. Baking tip: Be very careful when handling cranberries because their juices can stain everything. Wash your hands and clean up your cutting board and counter space right after handling them to help prevent stains. Well, you can do whatever you want, but you’ve been warned. My husband did the chopping of the berries and actually left the water running slowly next to him so he could rinse his extremely red fingers after every few. Also keep in mind that cranberries are full of air (picture the Ocean Spray commercials where the guys are up to their waists in floating cranberries) so when you cut them they also want to spit red stains with every cut. 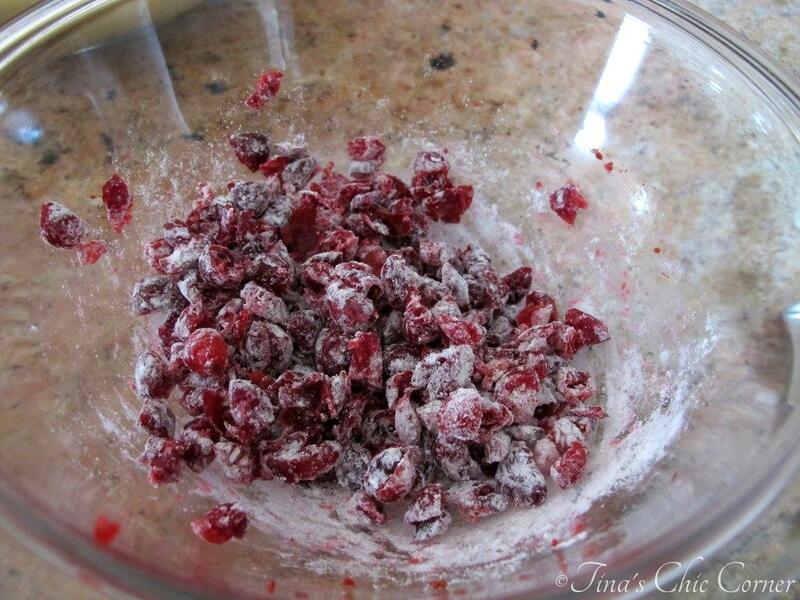 Baking tip: Gently toss one tablespoon of flour with the chopped cranberries. This will help prevent the cranberries from sinking to the bottom of the loaf while it cooks. I like to use parchment paper to line the baking pan because I can pull the loaf out easily for presentation. Powdered sugar is one of my favorite things on earth! I wanted to keep the topping simple because this yummy loaf is full of awesome flavors. This butter loaf is so moist and it reminds me of a lighter version of a pound cake. There is a lot of Autumnal flavors going on here. 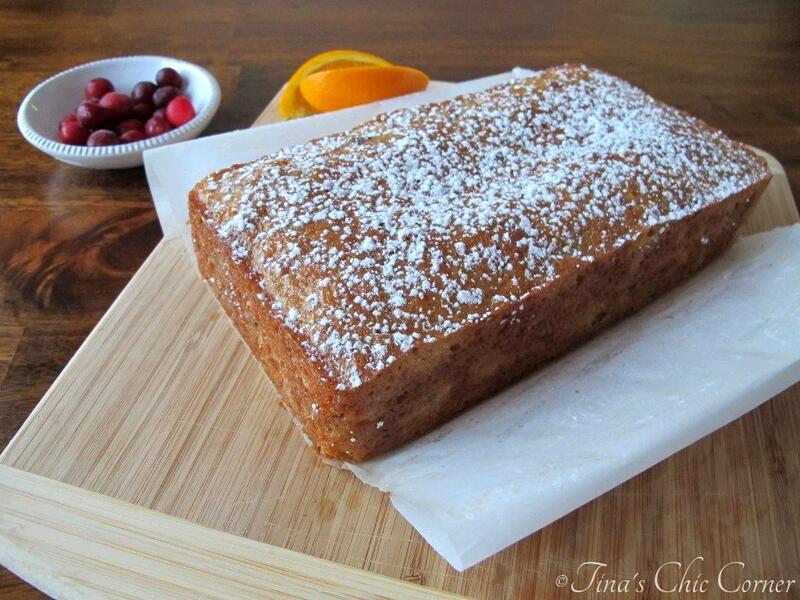 Besides the deliciously tart cranberries this loaf is also bursting with orange flavor and aroma. Visually speaking the cranberries are a decorative pop of color! Who doesn’t think of cranberries this time of year? Thanksgiving turkey with cranberry sauce, anyone? I’m loving this tasty cranberry and orange combination. What loaf are you looking forward to making this time of year? So glad to hear you had a fun trip! And yes, quickbreads are the best. I love the bursts of cranberry you’ve scattered throughout! The rest and relaxation was much needed and was of course too short, but I’m grateful we had the opportunity to be away. Back to the grind! Glad to hear you had a good time traveling! Such a unique beautiful bread here, never thought to add cranberries with orange. Thanks for sharing! Great recipe tina! Orange cranberry is one of my favourite combos! 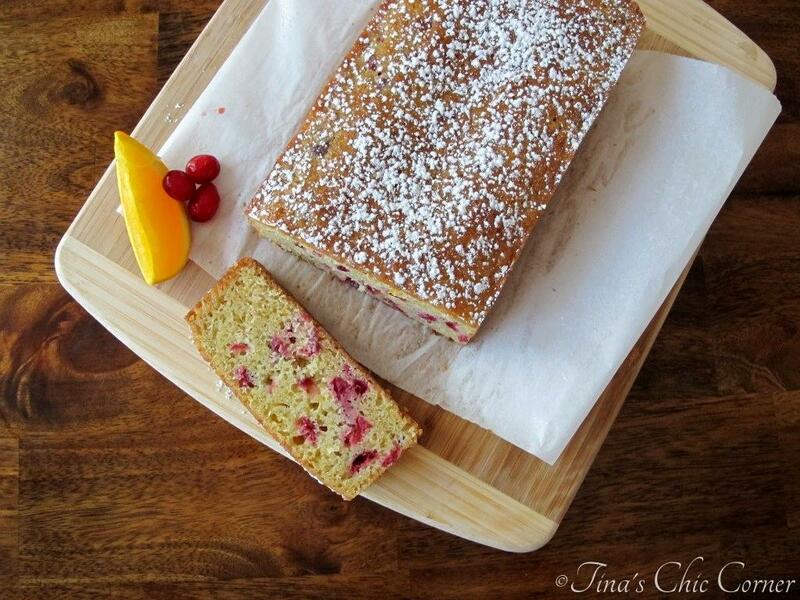 Cranberries are such an underrated fall flavor…loving this quickbread! And glad you had a nice trip! 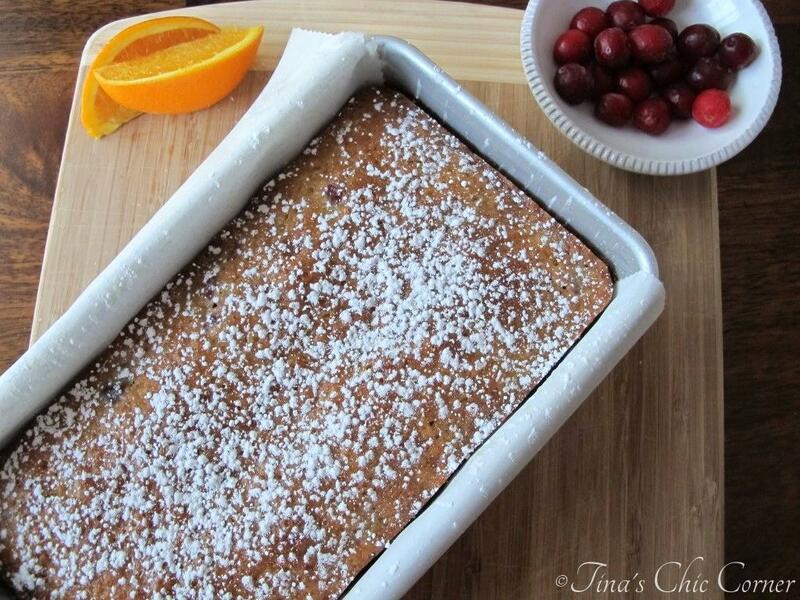 I love cranberry and orange bread! 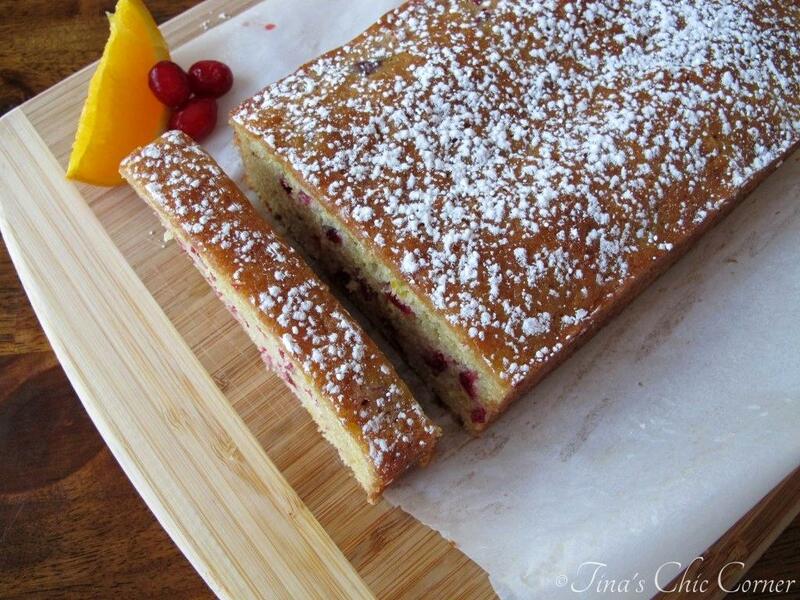 Tart cranberries are so wonderful with that sweet citrus flavor. Your bread looks delicious, Tina! 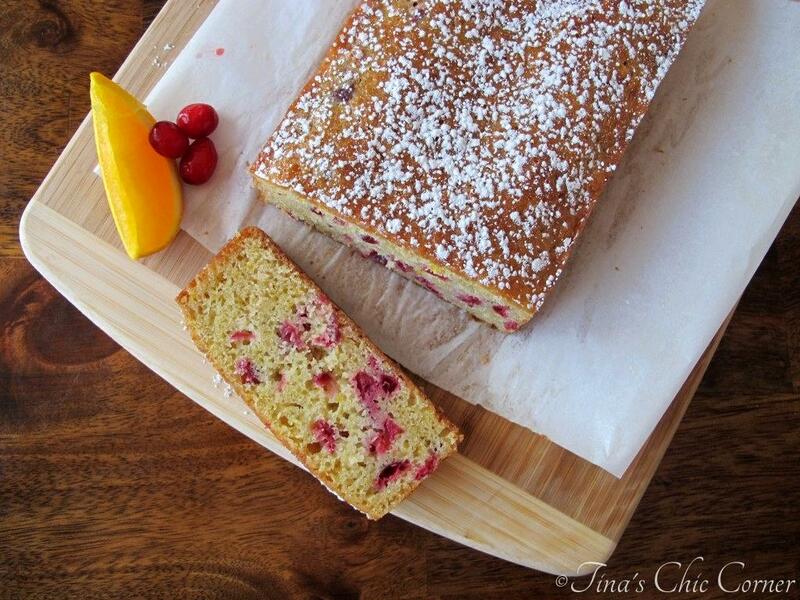 So glad to hear you had a great time on your vacation 🙂 This cranberry orange bread sounds fantastic! Such a great combination of flavors and it looks so moist 🙂 I could definitely have this for breakfast or a snack anytime of the day! I wish I was still on vacation but we had to come back to reality at some point. 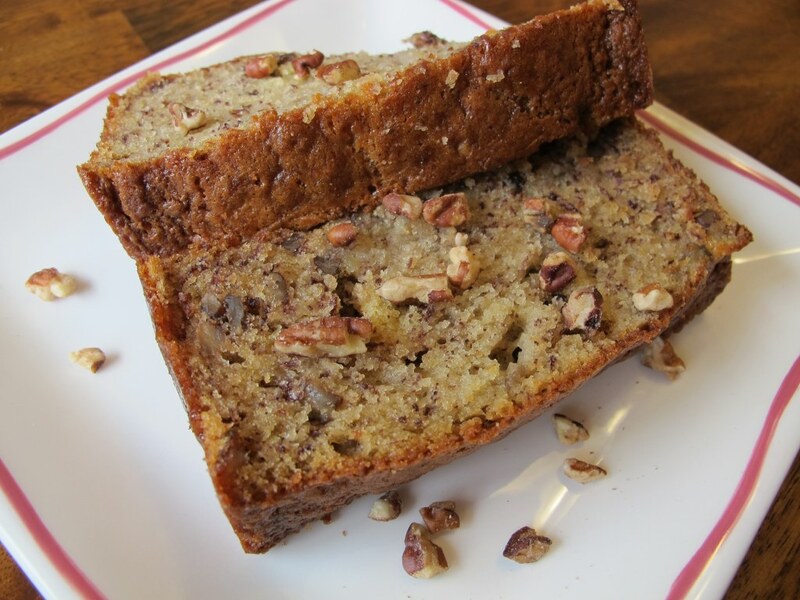 😉 This quick bread is definitely perfect to eat at any time! Ahhh! I adore any kind of quick bread and am bound to eat the whole loaf by myself! This not only sounds delicious, it is so pretty! Cranberry and orange is such a fresh, light combo, yet fits fall perfectly. 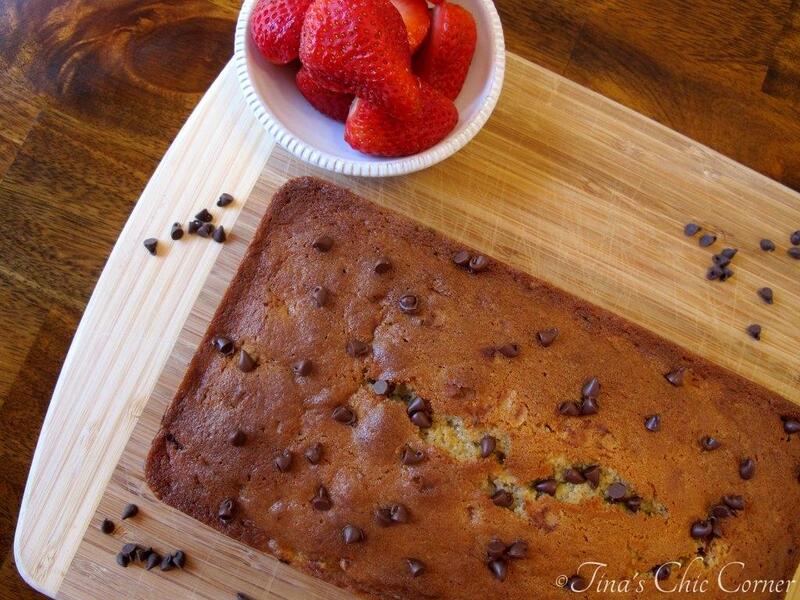 Awesome recipe, Tina! Glad you’re back and that you had a great trip! I have become completely and utterly obsessed with the orange / cranberry combination over the last few weeks. I’ve already made cookies, scones and granola bars … haha… and now I think it’s time to make a loaf! This looks amazing! I love baking with fresh cranberries! I do agree that quick breads take forever in the oven!